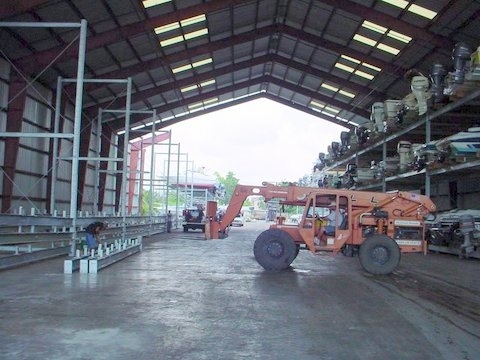 Key Largo, Florida Angled boat racks enable our customers to store longer boats and increase the approach length of the forklift center aisle. 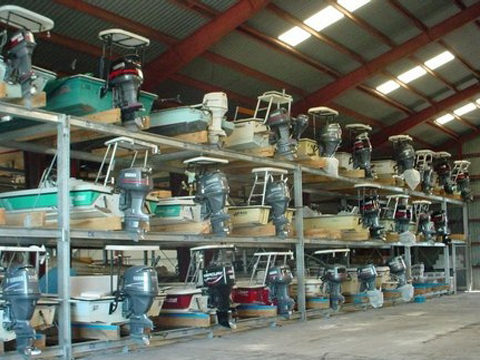 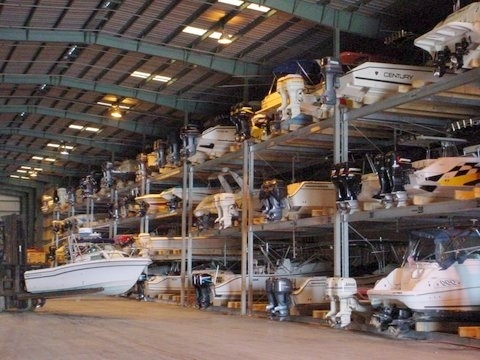 Islamorada, Florida The Caribee Marina has a large inventory of small Backcountry Boats and with a very low ceiling height, we were able to store boats 3 high and 3 wide with a 15' high column. 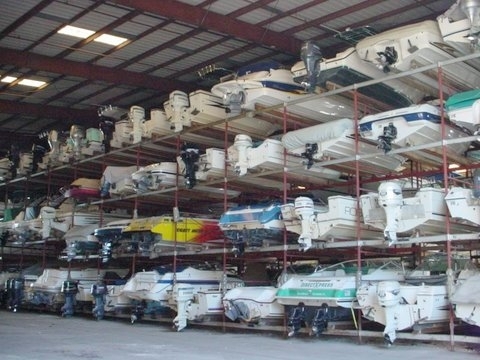 Hypoluxo, Florida Palm Beach Yacht Center stores mostly larger boats.The old boat rack system columns were very narrow which were damaging the sides of the wider boats. 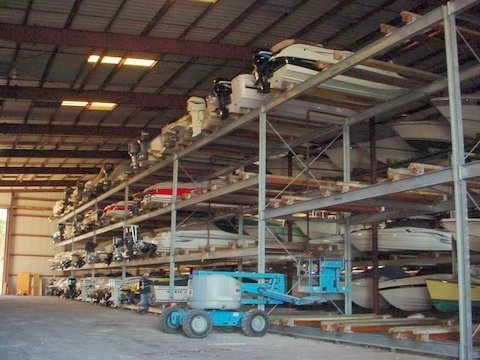 Since the building has columns to support the roof, we were able to line the rack columns up with the buildings columns giving the new rack system the spacing needed to store much wider boats. 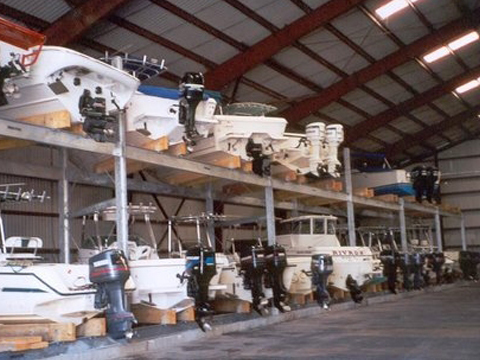 Hypoluxo, Florida After Hurricane Wilma, Gateway Marina's building and rack system was severely damaged. 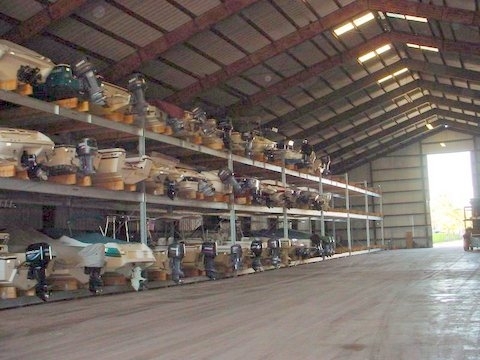 Within 10 dayswe had the building in a safe working condition and the old rack system had been straightened and secured to support boats temporarily. 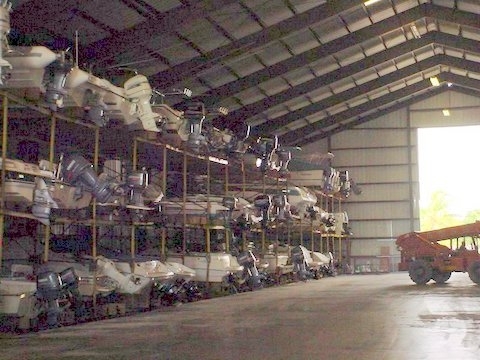 A new rack system was designed, fabricated and ready to be installed within 6 weeks.